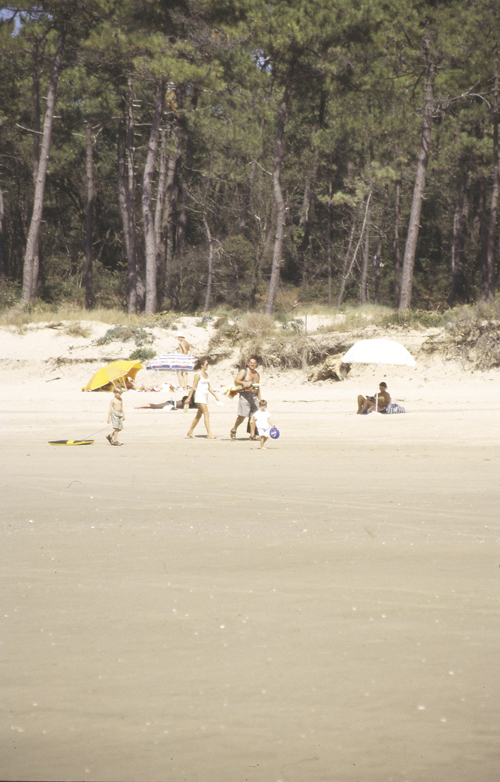 Camping Palmyre Loisirs is a spacious campsite surrounded by a pine forest, with emplacements set in sandy glades and lightly wooded areas. The campsite shop, bar, restaurant and meals service are centrally placed near the entrance and are all situated around a large patio, where clients can sit out to enjoy a drink or a meal. There are frequent events arranged here each week from early June to late August. The children’s club here is excellent and operates from late May through to early September, and the ‘Ecole de Cirque’ operates from 28th June to 30th August. Close to the campsite there is a surf school during July and August (tuition in English and French). 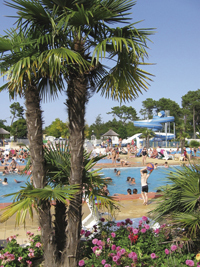 The town of La Palmyre is a busy and bustling resort, situated approximately ten miles north-west of Royan and just over a mile away from the campsite. There are long sandy beaches stretching all the way from La Palmyre down to the Grand Cote starting just north of St Palais sur Mer. There is also a convenient cycle track from the campsite all the way to La Palmyre, covering a distance of approximately two miles. The campsite swimming pool and waterslides close for two hours at midday every day. During low season the waterslides operate afternoons only.